The opening of Petts Wood railway station in July 1928 accelerated development of the new “Garden Suburb” and Canon Dawson, Rector of St Nicholas parish church in Chislehurst set up a committee to promote the building of a church and the formation of a new “Parish of Petts Wood” to serve the incoming residents. Three months later they had persuaded Basil Scruby, the developer of Petts Wood, to donate an area of land and had commenced raising funds for the construction of a church building. Stage One of the plan was to hold church services in Petts Wood and one of the curates from St Nicholas, the Rev. James Hampson, was tasked with this, holding the first service at Ladywood School in Grosvenor Road on 26 October 1930. Stage Three was the construction of a permanent building. Fund raising had never ceased…the usual garden parties, weekly collections and bring and buy sales and the less usual orchestral concerts and theatricals. 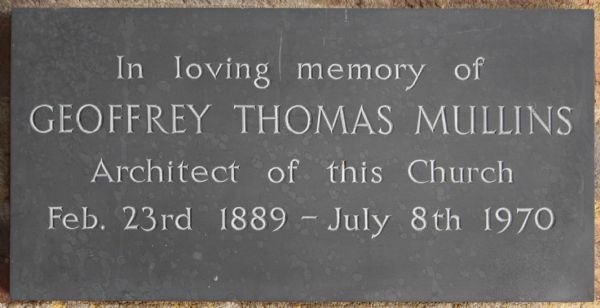 London architect Geoffrey Mullins FRIBA, a resident of Chislehurst, was asked to draw up plans. His initial sketches echoed the plan of a great medieval tithe barn; an awesome 140 feet by 30 feet clear space with a soaring hammer beam roof flanked by North and South aisles and dimly lit by lancet windows. Hand-made multi-colour Keymer bricks fired from Wealden clay were to be used in the solid walls and graceful rebated arches, all capped by the massive timbers high above in the roof. The estimated cost was £12,000 (average annual salary at the time £190) and although the building fund was not yet sufficient it was agreed to commence work. 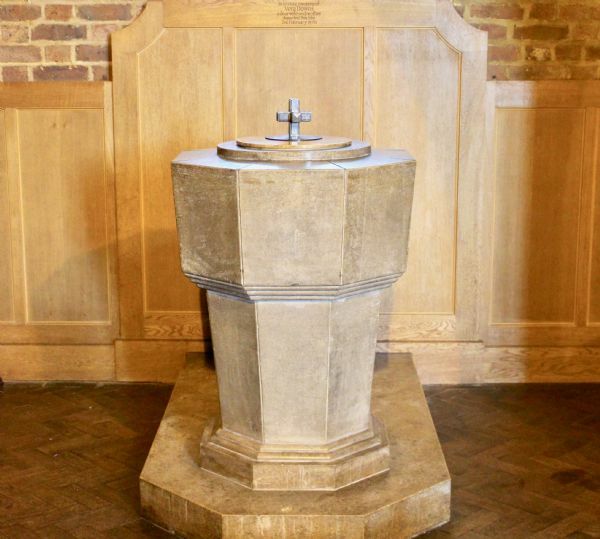 On 10 March 1934 the Bishop of Rochester dedicated an oak cross on the site of the high altar. 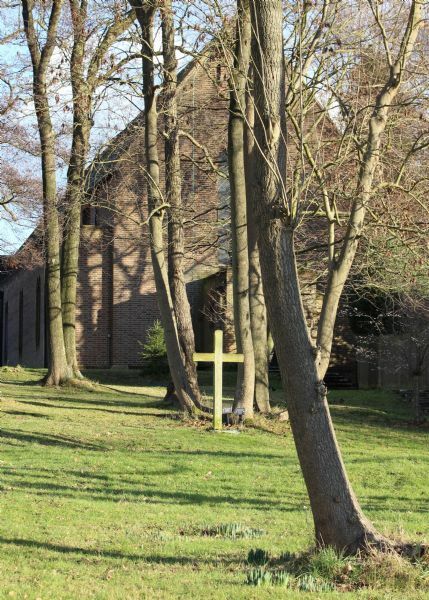 (This cross now stands proudly in the grounds to the West of the church). Hall, Beddall and Co. the London builders who had carried out substantial work on the Victoria and Albert museum, completed construction in December 1934 and on the eve of Epiphany, 5 January 1935 the service of consecration took place. Petts Wood was raised to the status of Parish in July 1935, carved from the adjacent parishes of St Nicholas Chislehurst and All Saints’ Orpington and James Hampson, the curate of St Nicholas who had so tirelessly worked to convert Canon Dawson’s idea to a reality was appointed the incumbent, a post he was to hold until his retirement in Spring 1961. “Furniture and Fittings” for the new building came largely from the generosity of parishioners and residents. 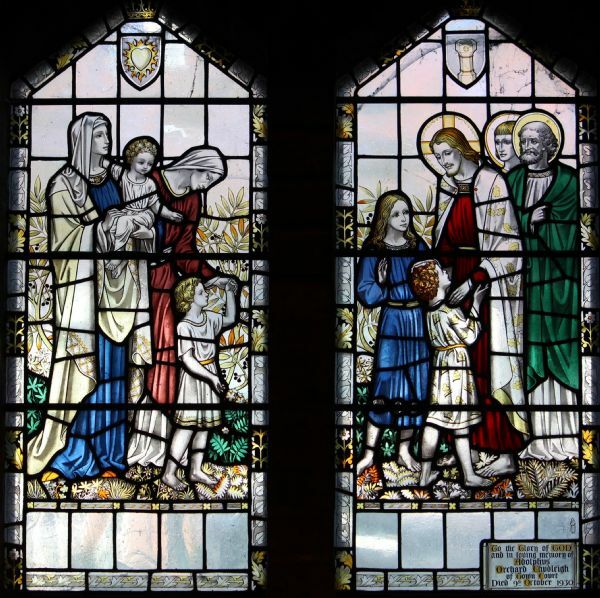 The previous owners of Towncourt farm, sold to developer Basil Scruby, donated the stained glass windows in the Baptistry. 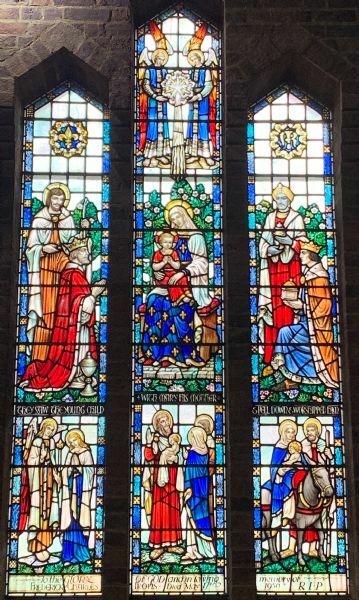 The stained glass windows in the Lady chapel were given in memory of Captain and Mrs Carter. The children of the parish raised £95 to pay for the Ancaster stone font. The public paid ten shillings for each chair, Sophie and Agnes Tiarks from St Nicholas funded the Sanctuary as a memorial to Canon Dawson and the Lady Chapel was furnished by Mr and Mrs Sturge, using the altar they had donated for the little wooden church. 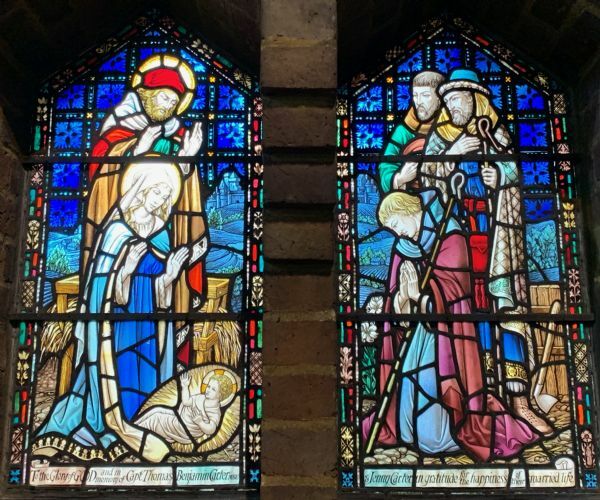 Some Later Additions have come in the form of our beautiful 14, Stations of the Cross, presented by a long-standing parishioner for her husband and were dedicated on 5 July 1981. They were carved by the Rev Michael Sims Williams using people from his village of Borden near Sittingbourne as models. The background is in limed Oak and the figures Sapele. Being disabled he carved then one-handed. 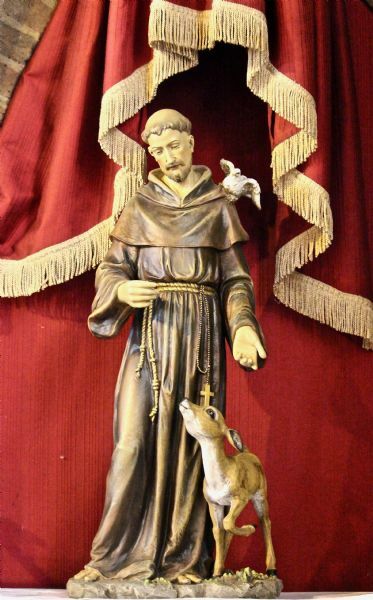 More recently our last incumbent installed our Alter to St Francis on the right hand side of the church, surrounded by kneelers again presented a number of years ago by the family of a long time parishioner and finding their home here. Eight decades of worship later, we, the current parishioners benefit from their generosity and continue to fund-raise. Now, for major improvements to the West end of our beautiful church, and the next chapter in our history I hear you ask. Well, we've been lucky enough in 2019 to receive four grants, one from the National Lottery Community Fund, but also from Congregational and General Charitable Trust, Marshalls Charity and to make up the forth, All Churches Trust, added to the many, many donations and hard work, which will enable us to start work on a tea station and disabled facilities soon, which in turn will allow us to become a bigger and better part of our community. At this point it is only proper to thank all those people who have supported and given generously so far, and to the four charities mentioned for believing in us. Our next chapter is only around the corner.